Taking care of my skin is one of my number one priorities. I have had my bouts with skincare issues and I am finally in a place where I know my skin and what it needs at any given time. One of my favorite "treatment" regimens is masking. Masking is the perfect way to target particular skin concerns and it's a routine that you can switch up often. I don't just have one mask that I use, I have multiple that I gravitate towards depending on what my skin needs. 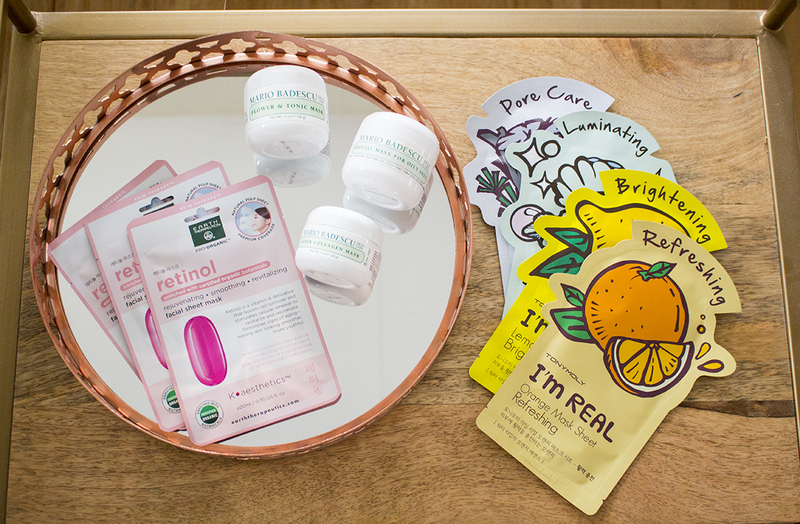 Whether my skin is dry, dehydrated, lack luster, oily, inflamed, suffering from acne, or just needs a boost - there are masks that treat all types of issues. If you really want the masking process to work you must first have the proper skin routine. Washing your face twice a day, removing all of your makeup before bed, hydrating, applying SPF and drinking tons of water are all excellent routines to get into. My routine, looks something like this: 1. Wash my face every morning with cleanser (based on skin needs) 2. Follow up with facial spray 3. Apply serums 4. 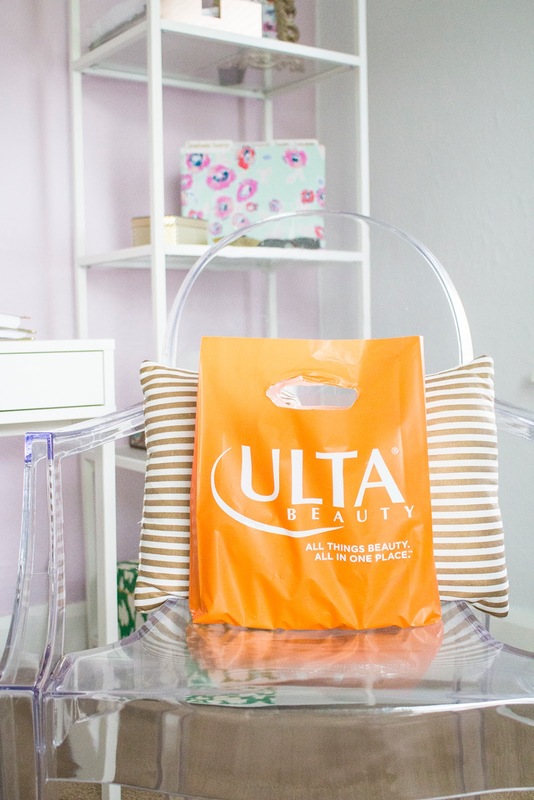 Moisturize with oil-free moisturizer that contains SPF 30 5. Remove makeup with micellar water or wipes once I'm home 6. Cleanse my face with my Clarisonic and cleanser (based on skin needs) 7. Mask 3-4 times a week 8. Apply toner and/or facial spray 9. Apply serums 10. Finish with a night cream Note: I use my PMD (personal microdermabrasion device) once a week, usually on Sundays. I also use my Clarisonic every single day. Both devices are essential to keeping my skin healthy and looking radiant. I plan to do a post on all of this in the near future! As I mentioned above, I have a few masks that I gravitate towards. The ones listed below are on my current skin regimen but I frequently try new ones whenever I visit my local Ulta Beauty store. 1. Mario Badescu Flower and Tonic Mask: This mask is my absolute favorite. Any breakout or skin irritation this mask helps to soothe and aid in the healing process. Whenever I feel like my skin is oily or prone to breakouts (especially around that time of the month) I will use this and my breakouts will disappear! I recommend this for all skin types. 2. Mario Badescu Super Collagen Mask: Everyone can use an extra boost of collagen. I don't use this mask very often just because scarring, acne, and oiliness are the top of my facial concerns. However, this is a great mask that promotes skin's elasticity and the collagen helps to plump and firm fine lines and wrinkles. Recommended for combination, dry and sensitive skin types (my skin is naturally more oily thus why I don't use it as often)! 3. Mario Badescu Special Mask For Oily Skin: This is another great mask for oily and acne prone skin types. The Kaolin, otherwise known as clay, in the mask absorbs oils and lifts them to the surface while minimizing large pores. The calamine in the mask provides astringent and soothing properties for mild acne. 4. Korean Beauty Retinol Sheet Mask: Retinol is great for all skin types as it boosts cell turnover to revitalize and rejuvenate your skin. Korean beauty products are all the rage in my opinion, the Korean culture has naturally beautiful skin but the products they use are derivatives of vitamins, minerals and various plants. Use these masks when your skin looks and feels dull and sluggish. 5. 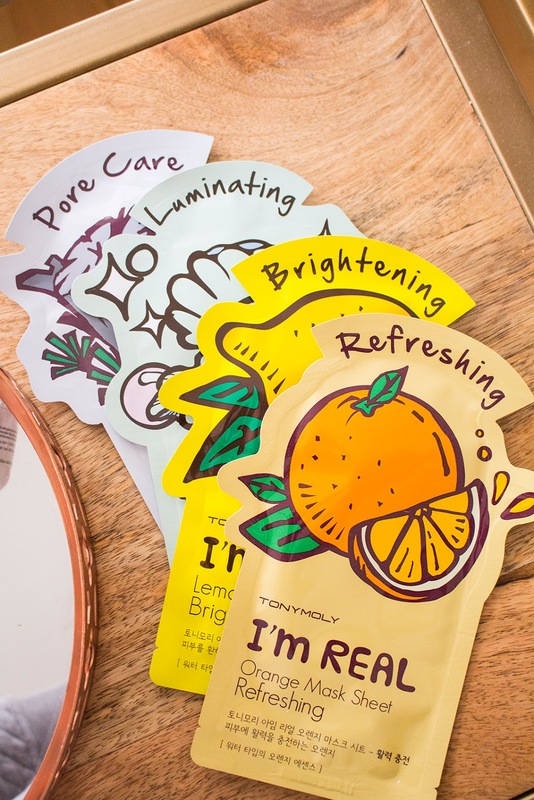 TonyMoly Sheet Masks: These are my favorite sheet masks. All of them are free of parabens and loaded with all natural ingredients. The best part is that there is a mask for every type of skin concerns. I've tried almost all of them but on my next trip to Ulta, I'll be picking up the Ginseng for elasticity, Olive for radiance and the Peach for vitalizing. What are your favorite face masks? Comment below so I can try them!